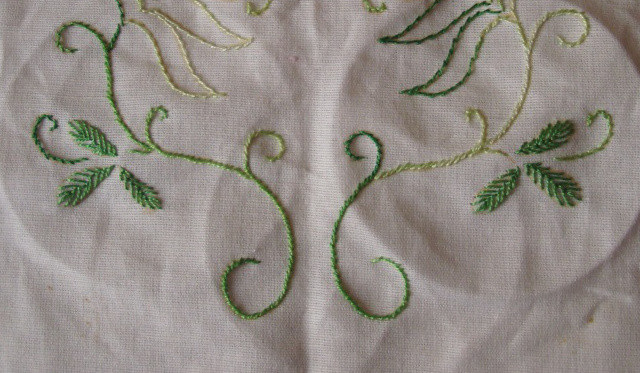 Stem stitch for the stems and some feather stitch in variegated polyester thread. 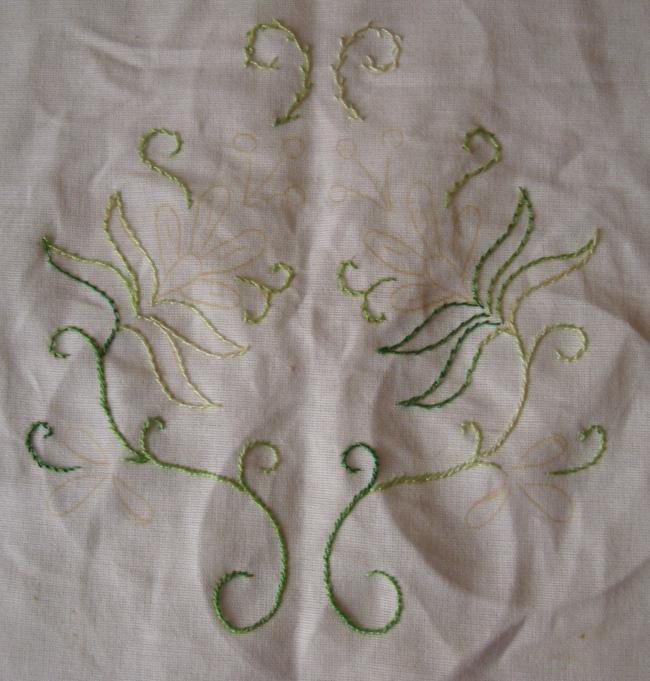 Fly stitch leaves with perle cotton. 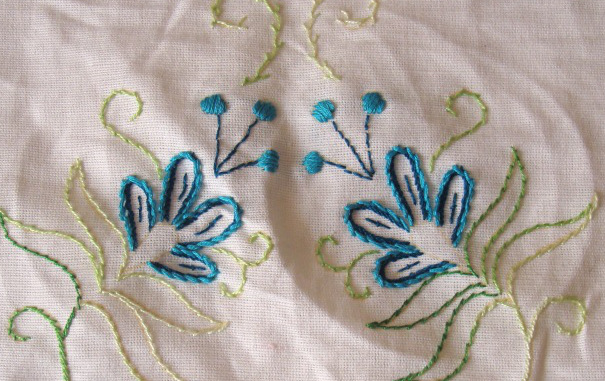 Stem stitch, back stitch and straight stitch in blue stranded cotton. 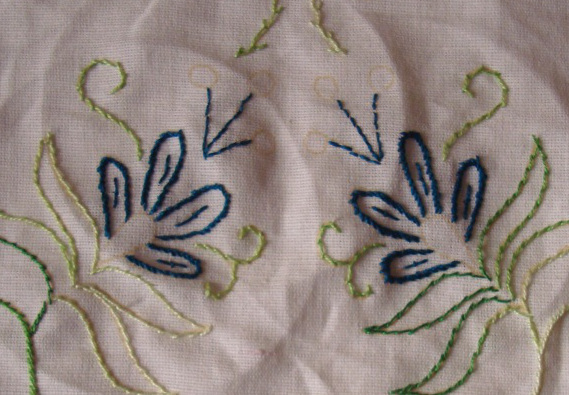 Satin stitches and stem stitch with medium blue stranded cotton. 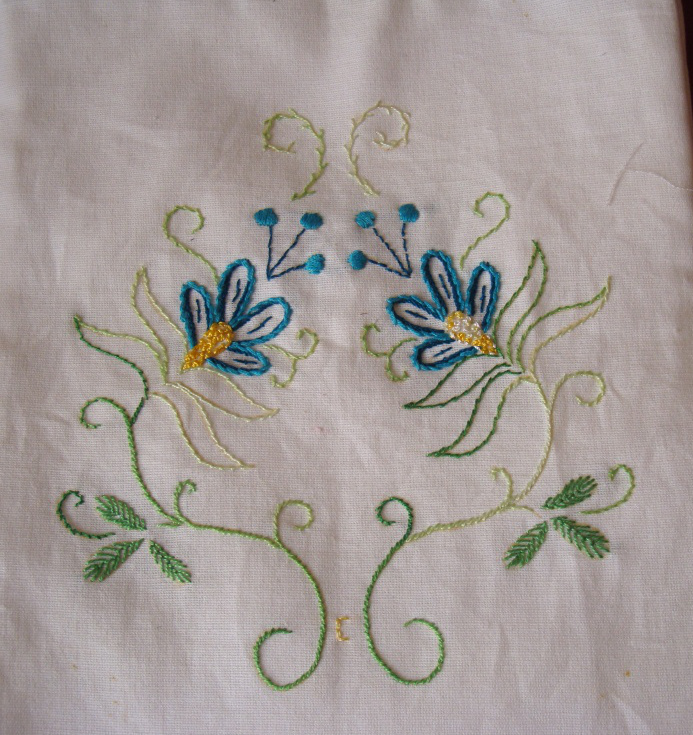 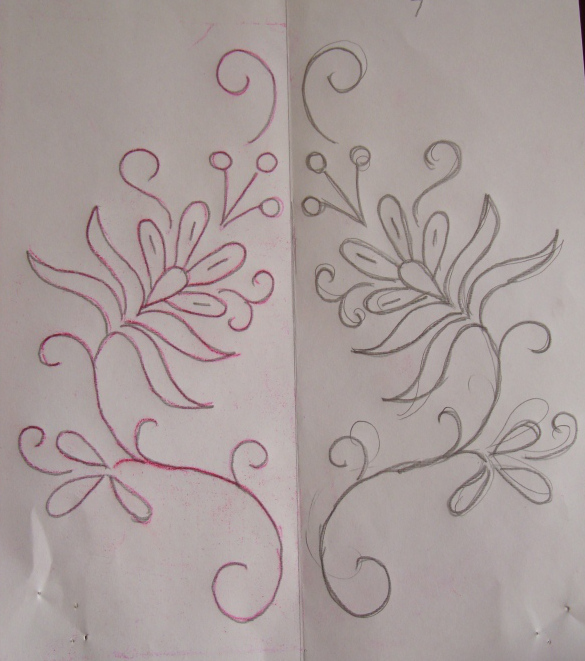 After filling the centre of the flowers with french knots in polyester thread, the embroidery on this bag was completed.